UPDATE 07/30/09: The owner of Ransom, Oliver Yawn, called the dog "vicious" and surrendered it to the state to be euthanized. Yawn said he "didn't want to deal with the BS" of obtaining thousands of dollars in liability insurance and appearing in court. He also blamed the attack on the sound of the landscaper's weed whacker. 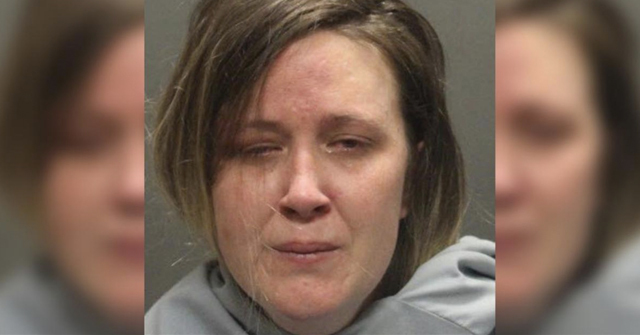 Yet a week earlier, the dog broke through the home's 6-foot wooden fence and chased 21-year old Amanda Gray, who was not utilizing any tool. According to Anne Irwin, director of the Bucks County SPCA, there's no agency that deems a dog "dangerous." Pennsylvania state dog law allows the court to make this ruling. 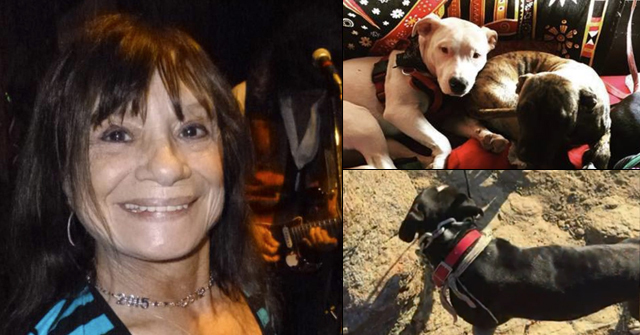 She added that state dog law did not apply in this case because the owner relinquished the dog to the state. Though not clearly stated in the article, it appears the landscaper suffered severe injury in the attack. Yawn avoided the state dangerous dog court hearing by surrendering his animal to authorities. Yawn is now free to buy a new pit bull and start the dangerous dog process from scratch! Bristol, PA - Phillipe Berrocal, a landscaper, was recently working on a yard on Maple Street when a 5-year old pit bull named Ransom broke through the fence and bit him on the left leg, leaving him with lacerations, according to a police report. Now local officials are looking to State Rep. John Galloway, D-140, who has introduced legislation that would lift Pennsylvania's Anti-BSL measure and allow municipalities to create their own dog-control ordinances. At least 9 other states share this same predicament: Colorado1, Florida, Illinois2, Minnesota, New Jersey, New York, Oklahoma3, Texas and Virginia. In addition to Pennsylvania's Anti-BSL measure, state law4 allows attacking dogs to be returned to their owners with a warning to keep their dogs "under control." (This is also true when a dog has "broken through a fence" for the purposes of attacking). Pennsylvania has a three-strike policy that allows the pet's return after two incidents unless a dog kills or grievously injures a person. After a 3rd mauling that does not qualify as grievous injury, the dog is euthanized. To the north of Bristol, the City of Wilkes-Barre is also experiencing an increase in pit bull attacks. Mayor Tom Leighton, who tried to ban pit bulls in 2005, recently announced that the city would seek state assistance to place tighter restriction on owners of pit bulls and other dangerous breeds. Leighton said he would wait until the state budget is passed before contacting legislators about changing the law to give Wilkes-Barre the freedom to craft breed-specific laws. According to Department of Agriculture figures, 403 dogs have been deemed "dangerous" in Pennsylvania since 2005. Dogs can end up on the list (except when owned by James Harrison) for severely injuring a person, attacking people unprovoked, killing dogs or cats off their owner's property, or being used in the commission of a crime. 166 (41%) of the "dangerous dogs" are pit bulls or rottweilers, breeds communities often seek to regulate to prevent future attacks. 1Colorado: As demonstrated by the most controversial pit bull ban in the history of the United States, the City of Denver -- under "home rule" authority -- superseded the state's Anti-BSL law and legally carried out their pit bull ban. 2Illinois: After an attack left a teenager critically injured, Highland Park Mayor Michael Belsky called for a citywide pit bull ban. Belsky is currently working with state legislators to amend state law and to strengthen home rule authority. 3Oklahoma: Midwest City is currently appealing a court's ruling that overturned their pit bull ban. As a home rule charter city, Midwest argues that they have the authority to rule over local issues, including the regulation of animals. 4View the Pennsylvania state dog law and brief legal discussion by dog bite attorney Kenneth Phillips. 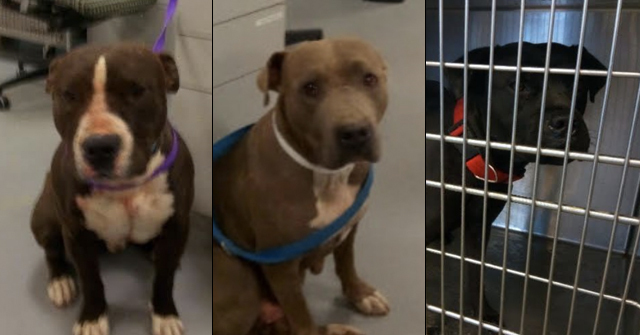 "Both pit bull owners were court ordered to have $50,000 liability insurances, keep the dogs muzzled and supervised, and put dog warning signs in their yards. But they both FAILED TO COMPLY, police said, so they have been charged with misdemeanors for not following court rulings, DiRenzo said." PA has had a Pit Bull problem for awhile. It's up to the state dog warden to initiate charges in order for the owners to be held liable for Harboring a Dangerous Dog. There are provisions that must be adhered to by the owner if they choose to keep the Dangerous Dog; however, it's highly unlikely that it's regulated outside of what can be verified through paperwork. The dog wardens of the past in PA were tied to the breeder lobby, in particular in the AKC/puppy mill breeder lobby that was trying to run the show. Also the related Amish puppy mills tied into the farm lobby. And there have always been dog fighting breeders in Pa. The breeders have put pressure on dog wardens (or gotten in breeders as dog wardens) that basically don't enforce the law, which is exactly what the breeders wish. They haven't been enforcing cruelty laws either. This is starting to change, but the AKC/puppy mills fight it as hard as possible. The dog wardens/dog breeder lobby in Pa have been a perfect example of private business controlling public interest to the detriment of the public. From personal experience, I can tell you that doctors are often reluctant to stitch dog bites. There is a high risk of infection, so many bites that are severe are left unstitched, therefore not qualifying as a "severe attack" under these sorts of laws. This needs to change! I had an open wound from a dog bite that bled and leaked for over five months, yet my attack wasn't considered severe by state standards. How ridiculous! i wonder if PA's problem with pit bulls is connected to their dog fighting problem? Penn state is Ripe-O-Licious dogfighting territory and PUPPYMILL territory — both heavily "ensured" by the AKC and "mauling fancier" groups. How do you think the Anti-BSL measure got passed? Remember the dog fighter killed at his dog fighting establishment in Texas by another dog fighter? He had an auxiliary dog fighting breeding property and operation in Pennsylvania. Part of the problem is that the Department of Agriculture in PA thinks its job is to support puppy mill breeders and dog fighter breeders. There are government officials and legislators in Pennsylvania helping these breeders! The medical facts about the invalidity of "suturing" as a means to measure the severity of dog bite injury is pointed out on page 2 of a 1975 study ("The Ecology of Dog Bite Injury in St. Louis, Missouri," by Beck A, Loring H, and Lockwood R). Despite this 35-year old medical knowledge, most U.S. states continue to define "severe" dog bite injury (which often carries both civil and criminal implications) as requiring "multiple sutures." "Other studies found that at least 10 percent of all bites required some suturing. Suturing, however, is often contraindicated for puncture wounds, and thus it many not be a good indicator of severity." Are you referring to the 1973 murders in Texas? Lewis Richard Halliburton and William Marshall Reed (both had appeared as predominant figures in dogfighting zines of that era) were found shot to death on the bank of the Trinity River outside of Dallas. The night before, the two had been seen at a cockfight in Farmers Branch. Apparently, their hands were tied behind their backs by neckties taken from the home where the fight was held. No Trigger, this was one man. I think his first name was Paul? This was within the last year or two. The other guys shot him in the leg. His wife was in the business too and she was trying to get all the dogs handed over to her. "Authorities are also investigating death threats against the Houston Humane Society and Sgt. Mark Timmers, an animal cruelty officer for a Harris County constable who worked to seize the pit bulls from Weigner's property. "The dogs die, you die." And, "You're taking out the best bloodlines, so we're taking you out"
AND THESE DOGFIGHTERS ARE THE ONES THAT LEDY VANKAVAGE AND BEST FRIENDS ANIMAL SANCTUARY ARE HELPING TO MAINTAIN THE BLOODLINES! Weigner had the Texas main operation, but at the same time he had a Pennsylvania breeding operation, and was shipping the dogs to Texas and around. That is the operation his wife moved to, the PA one. As far as I remember, PA let the operation in their state keep on running. Found it! His name was Thomas Weigner. Wife is Julie Laban. He also had a pit bull dog fighting breeding operation in Pennsylvania at the same time. She moved to that branch of the business after he died. "Weigner started his work in western Pennsylvania, naming his operation Westpenn Kennels, and quickly became known as one of the "top dogfighters" in the country,"
Lord knows how much money disappeared with the wife. Did they ever track the money trail? Did she get away with fleeing the state? Is she in business in PA? There were even parents involved in this business. 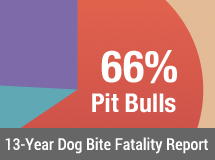 NOTE: Dog bite statistics from Altoona, Pennsylvania have been added to the post, "Pit Bulls Lead "Bite" Counts Across U.S. Cities and Counties." It seems many of the dogfighters have links into Pennsylvania (historically and currently). Furthermore, Pennsylvania is not only an anti-BSL state, it's a state that prohibits insurance providers from discriminating by breed — insurance providers are FORCED to cover pit bulls. By doing so, the owners of collies, bishons and every other safe breed have to make up the cost difference. I did not know about Weigner (Does he have a "memoir" book like the rest?). He must have known the Houston twins, one of which is reportedly involved with a Mexican drug cartel now shipping his dogs all over the world. Clearly the geographical location of Texas, as well as the cultural tolerance of dogfighting in Mexico and South America, makes Texas a central dogfighting hub in the U.S.
"Liberty County law enforcement had also investigated William Townsend's possible involvement in the death of Thomas Weigner, Jr., a man well-known in the criminal world of dog fighting…"
"For a year and a half, Townsend was a fugitive, although authorities said they had received a tip that he might be living in a compound or ranch in Monterrey, Mexico, that was owned by a drug cartel or twin brothers from Houston who were involved in dogfighting." Weigner's Pennsylvania property was in Blairsville (about 43 miles east of Pittsburg), Indiana County. Apparently, the Weigners went on vacation in early 2004 and never came back. In 2003, state dog warden Bonnie Coleman, of Indiana County, issued five citations to Weigner for having dirty kennels (he kept about 40 dog pens on the property) and a neglectful environment for the dogs. He paid the $600 fine in early 2004, and then planted himself in Texas. Animal People has a write up on the Weigner bust. So because PA started actually enforcing licensing for breeders and inspections, Weigner went to Texas where there is no breeder licensing and inspections required! Happy days for dog fighters in Texas! This is why these breeders, dog fighters, and the AKC all oppose breeder licensing! This is why states need to start adopting dangerous owner legislation. The designation should stick, regardless of whether they get rid of the one problem dog or not. They should be required to have insurance on ANY future dogs, regardless of breed, and if they are found to be out of compliance, they should be banned from dog ownership period. As you can see, the breeders and the dog fighters have finagled the dangerous dog law to protect THEM and their financial interests! This dog should have been euthanized after the first attack. It is inconceivable that a dog be allowed an attack, and sent back to do it again! But the state let that dog go back to attack again, and the state has blood on its hands for that landscaper's attack. That is because some legislators in PA (and the Department of Agriculture) believe it is their job to help breeders and dog fighters. And what is worse is that thanks to some legislators, honest people in PA with family pets are now covering the insurance costs for the dog fighters and pit bull breeders, because slimy PA government helped the fighters out by not allowing insurance companies to adjust insurance costs by breed, even though pit bulls eat up the lion's share of insurance costs and payouts! "The weed cutter was the problem," Yawn said. "The noise must have bothered him." How ridiculous. These pit nutters will say anything to deflect blame away from the dog and onto the victim. Mustn't disturb the delicate genius.